Customers | Distribution Solutions, Inc.
Our Customers - Commitment - Service - Reliability - That's our promise to our loyal customers. 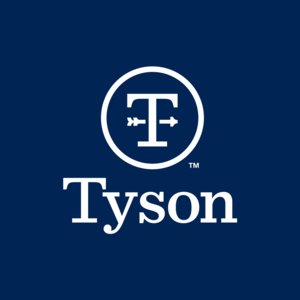 Tyson Foods, Inc., founded in 1935 with headquarters in Springdale, Arkansas, is the world's largest processor and marketer of chicken, beef, and pork, the second-largest food production company in the Fortune 500 and a member of the S&P 500. For over 65 years, the Claridge name has been synonymous with quality, service, and innovation. Our visual display products can be found in offices, universities, hospitals, hotels, and schools across the country. No matter what your industry we have products to meet your needs. Browse our Product Solutions area to view our complete line of marker boards, tack boards, display cases, directories and other visual communication products. Simmons Foods is a leading supplier of poultry, pet and ingredient products based in Siloam Springs, Arkansas. We work with farmers, communities, and employees to apply our 60+ years of experience to serving customers. Simmons ranks in the top 20 poultry producers in the United States, is the largest supplier of store brand wet pet food in North America, and boasts an innovative line of proprietary feed ingredient products. With 5,800 employees, Simmons serves customers in all 50 states and more than 40 countries around the world. Newly Weds Foods, an over 1 billion dollar food ingredient company, offers you the resources for your company’s success. We are committed to making your needs the highest priority, not the board or the shareholders. We are also successfully doing business with companies of all sizes. Even the smallest operation can leverage our vast network of global locations, manufacturing efficiencies and purchasing power. Additionally, we stand by the quality of our products, which minimizes your exposure to marketplace risk. Call us optimistic. We believe the world eats better when we eat together. Starting from a single grain elevator in Iowa, our passion has always been to bring producers and consumers of food closer to one another. Our team of 150,000 professionals in 70 countries draws together the worlds of food, agriculture, nutrition and risk management. For more than 150 years, we have helped farmers grow more, connecting them to broader markets. We are continuously developing products that give consumers just what they’re seeking, advancing nutrition, food safety and sustainability. And we help all of our partners innovate and manage risk, so they can nourish the world again tomorrow.